1. This week the buzz word was “Avatar.” This means (in non geek speak) “Picture your audience.” When I first started podcasting I created a podcast for musicians, so I thought of all those musicians in their garages practicing music, trying to get bookings, and sell more music. I saw the young 19 year old kid in a black t-shirt. 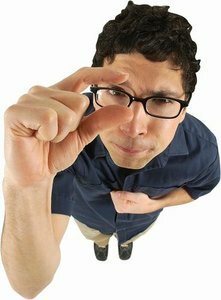 When I spoke into the microphone, I pictured him (nothing sexist here, but I pictured a dude – now that I know my audience I picture my friend Ali from Australia). 2. Just talk like your telling a story, offering advice, asking a question, as if they were sitting across the table from you. 3. If you're doing a podcast using a mobile recorder (and there are people watching you walk around talking to yourself), you can always hold your phone up to your ear so people think you're talking on the phone. The tools I recommend to create a podcast are a self hosted version of WordPress and the PowerPress plugin for configuring your podcast for iTunes (I also recommend Blubrry.com or Libsyn.com for media hosting – get a free month at libsyn.com using coupon sopfree). 1. Record yourself reading your blog post (try to make it sound like you're not reading it). 3. If you're using Libsyn.com, copy and paste the direct url into the PowerPress “Media URL” field (if you're using Blubrry you can upload directly from your WordPress install). Now in reality, you will need some album artwork for iTunes. Chances are you already have a logo for your website anyway and we can configure that to work in iTunes. It is time to pull the trigger. Pat Flynn of the Smart Passive Income podcast grew his audience by 20% by adding a podcast. You've already determined your topic, you've already written the post, spend the $99 for a microphone, and the $8 for some royalty free music, and launch your podcast. Feel free to contact me if you have any questions. Again, I LOVE answering podcast questions. I'm not sure if they have an official “Best in Show” award at blogworld, but there was one piece of technology that I went “WOA! 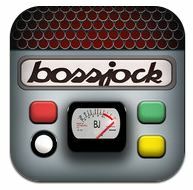 That's Cool.” That is the Boss Jock Studio application for iPhone. This cool tool lets you record a podcast directly from your iPhone. It lets you mix in music, export it to your website, soundcloud, ftp, etc. I got to hear what its like to record, I did NOT get to hear the recording. There is some pretty impressive compression and automatic volume leveling that looks impressive. I'm hoping to have someone record something so I can hear (after all you are using the microphone from the iPhone – I don't see where you can plugin in an external microphone). There are plans for an iPad version as well in the future. I was told that the Android operating system has a latency (echo) problem currently. Here is a quick demonstration. It's only $10 for the app, and for those looking for an easy portable system, this may be the answer (again, I've not heard a recording created on the bossjock). This appears to be a new angle in twitter management. You enter keywords, and authoritative websites in your genre, and it shows you what's going on, who you should follow, etc in YOUR GENRE. Pretty cool idea. 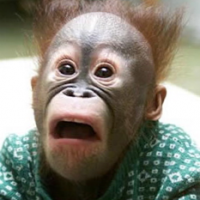 Right now it's free (a freemium model where “big shot smarty pants” features are extra). It looks interesting. Scott Eccleston of the Photography Podcast and to Rev. Kenn Blanchard from the Urban Shooter Podcast for hanging with me, helping me out, and making me laugh this week. Nice article Dave. The tools you recommend here are great – WordPress, PowerPress and Libsyn make for a solid foundation. You might also try the Mobile Podcaster iPhone / iPad app which let’s you record your podcast and publish to WordPress and / or FTP (Libsyn). The app creates the WordPress blog post, with the required PowerPress shortcodes, or you can choose any audio player enclosures you want. You can also attach an image in version 1.4. Thought you might find that fun to check out. If you’re talking about Boss Jock Studio, its awesome. I’m just not cool enough to own an iPhone (I’m an ANdroid person until January 12th when I’ve up for a free upgrade). Dave – I haven’t tried Boss Jock Studio, although it looks very cool based on your review. I’m talking about Mobile Podcaster – it’s a different app in the iTunes Store.